Q - I have white ceramic tile floors with a shiny surface. To clean them I have to vacuum and then mop, but when I mop it leaves loose dirt, so then I have to revacuum. I need something fast that will leave them clean. Vinegar is o.k. but doesn't work too well on greasy spots such as food spills. Any suggestions? First, you're doing the right thing by vacuuming before you mop. Second, when you mop, use one bucket of plain water if the floor's not too dirty or two buckets if it is. In that case, the first bucket should have warm water, a drop of vinegar, and a drop of dish soap (for the greasy messes). The other bucket is your rinse bucket and should just have warm water. If the floor is really dirty, you may have to dump and refill those buckets before you're done. After you have mopped (or mopped and rinsed) your floor, instead of that second vacuum, it would be better for you to dry the floor with some old towels. (If you've got good balance, do your knees a favor and "skate" around on them with your feet.) The towels will pick up the dirt that's left behind plus prevent any water spots from dulling the shiny surface. Of course, make sure you've got good floor mats inside and outside of every single exterior door in your house, because that will prevent a lot of dirt from getting tracked inside in the first place. Also, you might want to put a nice basket beside each door and encourage family members to take their shoes off when they come inside. Good luck! Occasionally, I see an interesting tip from a legitmate source that I am tempted to post here. Still, I'm hesitant to suggest anything that I haven't first tried out myself. Today I spotted such a tip in Budget Travel Magazine, one that sounds too good to be true. I can't see how trying this might cause any harm (unlike certain stain-removal techniques, for example) so I am posting it here without testing first. If anyone tries this, please let us know if it actually worked! According to a travel tip in Budget Travel, when you've been at the beach and are ready to get in your car, if you sprinkle your feet with baby powder, all of the clinging sand will fall off. Chewie did it again... knocked his water bowl over! Jo's dog Chewie had a habit of turning over his water bowl in his excitement over being outside. On page 256 of The Trouble With Tulip Joe had a great idea. She found an old bundt pan and filled it with water. She brought it out onto the grass, grabbed a wooden stake from her tomato plants and drove it into the ground right in the center hole of the pan. My roasted chicken always seems to dry out! What can I do? Page 221 in The Trouble with Tulip suggests that you stuff an apple inside the chicken before you roast it. It makes the chicken much more moist. Then you can toss it when you take the chicken out of the oven. Additional note: this works for turkeys too. Help! My batteries corroded in my calculator and now it won't work! Page 215 from The Trouble with Tulip recommends using fine sandpaper or an emery board to scrape off the corrosion and then wipe out the inside of the battery compartment with a dry paper towel. Beware, if the corrosion is significant, you may not be able to save the appliance. On to the refrigerator - how can I clean the rubber tracks around my refrigerator door? Page 117 from The Trouble With Tulip recommends putting a wet soapy washcloth over a butter knife to clean the rubber tracks. Just run the covered knife in the grooves and the goop comes out. What is the safest way to clean the inside of my car windows? Page 81 of The Trouble With Tulip indicates that the biggest mistake people make when cleaning the inside of their car windows is to use store-bought glass cleaners because they're ammonia based. The ammonia can dry out the plastic, rubber and vinyl around the glass. A better cleaner is eight parts vinegar to one part water. It works just as well but doesn't hurt the lining. How can I remove those little scratches in the plastic on my dashboard? Page 81 from The Trouble With Tulip suggests that you rub some baby oil directly onto the pastic. Voila! The scratches disappear! How can I keep the inside of my car looking new? The next few entries will focus on ways to keep the inside of your car looking like new. Page 81 from The Trouble With Tulip recommends using saddle soap and a damp sponge to clean your leather seats. This will keep the leather clean and shiny! What is an easy way to clean my miniblinds? Page 26 from The Trouble With Tulip suggests that you find a pair of old socks and fill a small bucket with your favorite cleaning solution mixed with water. Put the socks on your hands and dip your right hand in the solution and run it along a slat, fingers on top and thumb along the bottom. Then use your left hand to dry, running it along each slat the opposite way. Wipe, dry, wipe, dry. You can work your way down the blinds with little effort! What is a natural way to deodorize my refrigerator? Page 26 from The Trouble with Tulip suggests that you try cutting a few oranges in half - scooping out some of the pulp and filling the shells with salt. Note: Place them in a small low edge container to keep them from rolling over and creating a mess. How do I prevent water from dripping through my hanging plants? Page 25 of The Trouble With Tulip suggests that you put a shower cap under the plants when you water them. Once you're sure they're no longer dripping you can remove the cap. Help! I need a heating pad but can't find mine. From page 25 of The Trouble with Tulip. Try filling a clean sock with rice and securing the ends with sturdy knot. Place it in the microwave first for a brief time and it will serve as a portable heating pad! The drawer in my dresser gets stuck in the summer. What can I do about this? Page 25 of The Trouble With Tulip indicates that a low wattage lamp turned on inside a drawer will dry the humidity out of the wood and can stop the drawer from sticking. Disclaimer: Please make sure nothing is touching the bulb and that the drawer is at least partially open to prevent a fire. Never leave the lamp on unattended. How do I reduce the swelling of the bags under my eyes? Page 18 of The Trouble With Tulip recommends cutting two big slices from the middle of a potato. Lay down and put a slice over each eye. Five minutes like that should take care of any swelling you might have. We recently put in a new playground for our children in the backyard. Unfortunately, the deer have decided that it is their new resting spot and personal potty. Because our children our young, we are always out there when they are playing on the playground, however, we are constantly having to clean out the deer "waste." There is already a fence surrounding the playground, plus making any adjustments to the fence surrounding the yard are just out of the question for now. What can we do to keep the deer out of the playground and yard? Thanks for your question. To find an answer, I consulted a book called "Grandmother's Critter Ridder" by Dr. Myles H. Bader. He has several pages of all-natural deer deterrents, but I have narrowed down his suggestions to the ones that would be the most appropriate for keeping deer away from an outdoor play area. - cut up an old dog or cat blanket and drop the pieces around the area. Unfortunately, you'll have to keep re-doing these things after every 2 or 3 rainstorms, because the scents do wash away. If you have access to lots of human hair, you can actually dig a shallow trench circling the area where you don't want the deer to go and fill it with hair, almost like a moat. According to Dr. Bader, "This keeps the deer away and the birds have a ball using the hair for their nests. The hair is rich in nitrogen and can be worked into the soil after the deer season is over." So there you have it! Let us know how it goes. How do I get lipstick marks out of my shirts? Try rubbing in some vegetable oil and letting it sit. After 20 minutes, sponge the area with some ammonia, then finally scrub with some dish soap. Launder as usual. How can I clean the siding on my house? According to The Trouble With Tulip (page 9), simply attach a long-handled car washing brush to an ordinary garden hose. Turn on your hose water and use the brush to scrub your siding! What Can I Do with Styrofoam Packing Noodles? Those darn noodles, they're a pain from the get-go. They hide whatever items are in the box they came in, they stick to things with the slightest hint of static cling, and because they're made of styrofoam, they ought to be re-used somehow (preferably again and again) before heading to a landfill. I'm not sure what you should do if you have collected bags and bags of these things. But the next time you give yourself a pedicure, here's a use for a handfull: Put one between each of your toes. The noodles will keep your toes from touching as the polish dries, giving you a perfect finish every time! Hello. 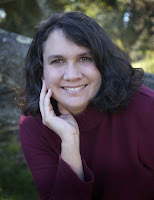 Today I'm interviewing Marlo Schalesky who is the award winning author of six books, including her latest novel BEYOND THE NIGHT, which combines a love story with a surprise ending twist to create a new type of story. She has also had over 600 articles published in various magazines, had her work included in compilations such as Dr. Dobson’s Night Light Devotional for Couples, and is a regular columnist for Power for Living. Marlo recently earned her Masters degree in Theology from Fuller Theological Seminary and is currently working on more “Love Stories with a Twist!” for Multnomah-Waterbrook Publishers, a division of Random House. She owns her own construction consulting firm and lives in Salinas, California with her husband and four young daughters. Find out more about Marlo at http://www.marloschalesky.com/. Q - Marlo, why do you think people like household hints? A - Because most people like a clean house, but they don’t do household chores for fun. So hints that make things go easier, quicker, more efficiently give people the time to both enjoy their house and do other fun things too. A - My favorite is ironing off tough stains from the carpet, using a hot iron and a clean rag. You put the clean rag on the carpet, and iron it – the stain transfers to the rag. Voila! Not more carpet spot. A professional carpet cleaner showed me that little trick and I’ve been using it ever since. A - Twin two-year-olds. I get a room picked up, they dismantle it. I clean a mirror or a glass tabletop, turn around, and there are a million little fingerprints all over it. I put away toys, and put away toys, and put away toys, and . . . you get the picture. And don’t even get me started on what the kitchen floor looks like after a meal. Yuck! A - Leave extra room in your closets, drawers, bins, cupboards for things you’ll buy later. And make sure it’s really easy to put things back where they belong without having to move other items first. A - My parents were most interested in having a spotless house for company. I just want to keep things picked up and organized for my own sanity. With four little kids, I’ve got enough crazy going on around here without adding household disarray to the list. So, I notice that the more wild things seem, the more I want to pick up, clean up, and organize . . .just so that something in my life can seem under control. Readers, stay tuned for the next interesting interview. 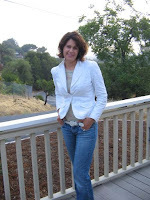 Hi Readers, Today I am interviewing Maureen Lang. Her booklist includes Pieces of Silver (a Christy finalist), Remember Me, The Oak Leaves. Coming in the fall/winter is My Sister Dilly. Q - Maureen, Do you have a favorite and/or interesting household hint you'd like to share? A - I'm not sure this tip is all that interesting, but I love vinegar. When my dog was a puppy and we were still in that fun stage of house training, I'd mix a little vinegar with water and go after the accidents. I read somewhere the strength of the vinegar overpowers the odor left by the pet, so the pet won't think that spot is their territory. It isn't, after all - it's yours, and the vinegar says so. Sure beats any other alternatives I can think of to stake territory! Thanks for the laugh Maureen! Stay tuned next week for another great interview. 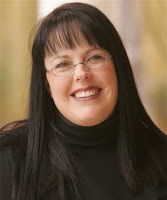 Today I'm interviewing Karen Ball who is the award-winning author of the Family Honor suspense series. Her most recent novel, What Lies Within, has been nominated as the Best Inspirational Novel of 2007. Q - Karen, do you have a favorite and/or interesting household hint you'd like to share? A - Yes, use vinegar and baking soda in your garbage disposal to keep it fresh and sanitized. Plus, it's fun! It's like having a mini volcano in your sink. A - Dusting. Dust runs rampant in this part of the country, but dusting kicks off my asthma, as do many of the dust-catching sprays. Q - Please fill in the blank: I am to cleaning as ___________. A - I am to cleaning as dogs are to cats. Readers, come back at the end of the week for another exciting interview! What mysteries lie hidden beside the dark waters of the bayou? Swept away from Louisiana bayou country as a child, Miranda Miller is a woman without a past. Now she has a husband and child of her own and a fulfilling job in a Manhattan museum. But she also has questions—about the tragedy that cut her off from family and caused her to be sent away, and about those first five years that were erased from her memory entirely. When she inherits her grandparents' antebellum estate, Miranda goes back to Louisiana for the first time as an adult. There, she soon finds herself plunged into a nightmare of unknown enemies, buried secrets, and priceless treasure. RT Book Club Magazine says: "Top Pick! Intricately plotted and exquisitely detailed, Clark's latest novel is fantastic." The commercial manager for Quentin Hollinworth's family estate, Rebecca Seabrooke is focused on just two things: making hers the most successful historic home in the country and forgetting the childhood crush she's had on Quentin since her father worked as his family's valet. After all, they don't exactly run in the same social circles. But when she and Quentin uncover letters in the family vault written by Berrie Hamilton—one of Quentin'sancestors—Rebecca discovers that Quentin isn't the only one with a legacy to appreciate. Only Berrie's words can prepare Rebecca forthe dramatic turn her life is about to take. or to order the title go to Amazon.com. Hi Readers, today I'm interviewing Sharon Dunn who is the author five mysteries including book two in her Bargain Hunters mysteries, Death of a Six Foot Teddy Bear. By the way, Book One in this series is called Death of a Garage Sale Newbie. Sharon in lives in a house where she has discovered that it is easier to make pets out of the dust bunnies than try to get rid of them. You can read more about Sharon’s humorous who-dun-its at www.sharondunnbooks.com and check out the bargain hunting tips left by readers. Q - Sharon, if you could pass along one bit of cleaning/organizational advice to someone just starting out with their first home, what would it be? A - You are starting out with a clean slate, make it a rule that anytime you bring something into the house, you need to toss or donate something that takes up the same amount of space. This will help prevent clutter from taking over. Q - Fill in the blank: I am to cleaning as a ____________ is to _______________. A - I am to cleaning as a monkey is to getting a PHD in Physics. A - My mom spent her whole day cleaning and then fretting over how messy her house was. I refuse to do that. I have books to read, people to hug and when the sun is shining, I want to feel it on my face. None of that happens if you are cleaning the dust off of houseplants. Thanks for your thoughts Sharon! Readers, stay tuned for another author interview next time! Today I'm interviewing Robin Caroll. Like me, she was born and raised in Louisiana, Robin Caroll is a Southern belle right down to her “hey y’all.” Her passion has always been to tell stories to entertain others. Robin’s mother, bless her heart, is a genealogist who instilled in Robin the deep love of family and pride of heritage—two aspects Robin weaves into each of her books. When she isn’t writing, Robin spends time with her husband of eighteen years, her three beautiful daughters, and their four character-filled cats at home—in the South. She gives back to the writing community by serving as President of ACFW (American Christian Fiction Writers) for 2007 and 2008. An avid reader herself, Robin loves hearing from and chatting with other readers. Although her favorite genre to read is mystery/suspense, of course, she’ll read just about any good story. Except historicals! 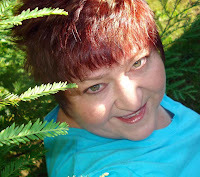 To learn more about this author of deep South mysteries of suspense to inspire your heart, visit Robin’s website at http://www.robincaroll.com/. Robin's books include Bayou Justice-Oct 2007, Bayou Corruption, Bayou Judgment, Bayou Paradox-June 2008, Bayou Betrayal-January 2009, Framed!-February 2009, and Our Armor of God in Soul Savors for Women. Now on to our interview! Q - Robin, what is your biggest housecleaning challenge? A - Finding the time to keep the house clean with 3 kids, a dog, 2 cats, and defending my writing time. I've learned to lessen my expectations. Q - What is your favorite household hint? A - A once-used dryer sheet is great for dusting--it "grabs" dust off tvs and ceramic tile counters and makes your room smell better. I also put a new dryer sheet in my bagless vacuum. As I clean the floor, I don't get that smell that comes into the air that seeps past the HEPA filter. I get a fresh smell. With a child that has extreme allergies, this is very helpful to me. Readers, please come back next week for another interesting interview! 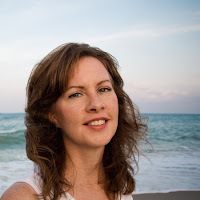 Today I'm interviewing Rachel Hauck, who is is a multi-published author living in Central Florida. Her current release is Sweet Caroline from Thomas Nelson. Q – Rachel, what's your biggest housekeeping challenge? A - Papers!! I just don't know what to do with papers or things I want to keep around for awhile. If I "file" them away, I forget about them. I also struggle with what to do with books. Otherwise, I'm neat and clean, but with neat stacks of papers and magazines on my desk. Q – How does your housekeeping style compare to that of your parents when they were your age? A - I'm very similar to my mom. I personally believe most of us emulate the environment we grew up in. If our parents were messy, we struggle with being messy. My mom was neat and organized and clean. So much of my home reflects her and the home she created for us. She used to turn on music to clean the house. I've not done that in awhile and think I might do that again. Thanks so much, Rachel! Readers, check back soon for another exciting interview. Q: Gayle, why do you think people like household hints? A: We love household hints because we're always looking for a better, easier way to do this job that we generally dislike. It's like buying the latest diet book or trying the latest diet fad. Help me do this hard job in a less painful and boring way! Q: Do you have a favorite and/or interesting household hint you'd like to share? A: My best housekeeping tip is: grow your kids up and out of the house! We're empty nesters now, and it's amazing how much neater the house is. Of course it's less exciting, less interesting, and less ulcer-producing too. Thanks for the chuckle, Gayle! Readers, check back soon for another interesting interview! I've got six kids and we're headed to an amusement park. How can I keep track of them? Buy six vividly-colored t-shirts, one for each, in all the same color. It's easier to keep your eye out for the shirt color than for children in more individual outfits. Readers, do you have any other suggestions? I'd love to hear more great ideas about this very common challenge. How do I get my kids to scoop the doggy doo? I love this suggestion, given to me by a friend: "We have two dogs and a big yard, and no matter how much nagging I do, my kids never seem to get around to scooping--or they do, but they rush it and miss half of what's out there. (Obviously, we don't get around to it all that often!) I even bought a long-handled scooper so they don't have to bend over or get their hands dirty, but it's still a thankless job that's never done well, if at all. Yesterday, however, I walked into the family room while they were watching TV and plunked down twenty $1 bills. I said, 'Here's twenty bucks, just for you guys. Go outside and scoop the poop. When you're done, I'm going to go out and look around. For every poop I find, I'm deducting a dollar. Whatever's left when I'm finished, you get to keep.'" Twenty dollars may seem a little steep for a job that takes just twenty minutes, but in their case my friend said it was money well spent. Apparently, the kids filled almost half of a paper grocery bag with doggy doo, missing only one that their mother could find. Nineteen bucks for a poop-free yard? I'd say that was priceless. New mom, Susan Schaffer, looks down at her newborn daughter, Lily, and wonders if she has what it takes to be a great mom. Each stage seems to bring a new challenge and Susan is filled with doubt. A chance meeting with former classmate, JoJo Nash, also a new mom, gives the two mothers a friendship to help each other, and their daughters, learn and grow. As the girls approach high school graduation their mothers are faced withthe question: Are the girls ready to `fly' on their own? Learning to Fly is a novel about living, loving and letting go. Andrea Sisco of Armchair Interviews.com writes: "All the self-help books or parenting classes in the world will not score a direct hit like Henke's message...a must read for all mothers and mothers-to-be. "He came to pay a debt he didn't owe. Because I owed a debt I couldn't pay." Murderer. It's a word few people ever expect to apply to them. But for fourteen-year-old Ray, it's suddenly a reality. Provoked by a gang leader into the random shooting of an innocent guy, Ray now faces a forty-year sentence in Chicago's in famous prison system. As far as Ray is concerned, it might as well be for life. In prison, Ray finds his gangbanger ties difficult to escape and even necessary for survival. Just when he's resigned himself to this new existence, though, Ray receives an unexpected gift--forgiveness. Even ashe learns that the source of this forgiveness is God, Ray struggles with accepting it. And then the ultimate test comes: When faced with the man who ruined his life, can Ray extend the same forgiveness that has been handed to him? Q - My husband sometimes cuts himself when he shaves--but he can't go to work with a little piece of tissue stuck to his face. Any other options? A - Tell him to skip the tissue and try a little dab of Chapstick instead. Sometimes, that's all that's needed to stop the bleeding--and it's not nearly as noticeable as toilet paper on your face! She's a wedding coordinator. He's a divorce attorney. She begins marriages. He ends them. How could these two possibly find common ground? You'll enjoy meeting Jesse Miller and Max Hunter, both twelve, who form a deep but unlikely friendship. Jesse is thin and frail and hasleukemia. Max is wild and adventurous, with spiked hair that changes color from day to day depending on her mood. Jesse has no real friends until Max comes along. She sees Max as being very brave and adventurous and tries to keep Max out of trouble. Then Jesse discovers Max's dark secrets and must lead Max into danger in order to set her free. There are three books in the series, The TroubleWith Max, Danger at Lakeside Farms, and Secrets of Ghost Island. To read a chapter from this exciting new title, sign up for ChapterAWeek at this link: http://www.mindystarnsclark.com/contact.php or to order the title go to Amazon.com. Be sure to check back for another tip from Tulip! How do I get water rings out of my wooden coffee table? Unfortunately, once the damage is done, nothing short of refinishing will remove those rings entirely. However, here's a trick you can use to minimize their appearance in the meantime: Sand the rings down a little, then make a paste of cigarette ashes and vegetable oil to rub into the wood. As long as it's not too big of an area, this should nicely darken the wood nicely so the rings don't stand out as much. Good luck! When Ellie's friend Felicity witnesses a pit bull savage a youngmother in the park, she goes into shock, and calls on Ellie for help.Ellie's discovers that the dog and its owner are strangers to theneighbourhood, but soon there are other attacks…and after each one,the dog vanishes. Between problems raised by her dreadful daughterDiana, her aunt's failing health, and the imminent departure of hergood friend Thomas, Ellie hardly has time to hunt down a killer dog, andhas no idea that she is the next target – until the police questionher for a crime she didn't commit!Murder in the Park, by VeronicaHeleyWhen Ellie's friend Felicity witnesses a pit bull savage a youngmother in the park, she goes into shock, and calls on Ellie for help.Ellie's discovers that the dog and its owner are strangers to theneighbourhood, but soon there are other attacks…and after each one,the dog vanishes. Between problems raised by her dreadful daughterDiana, her aunt's failing health, and the imminent departure of hergood friend Thomas, Ellie hardly has time to hunt down a killer dog, andhas no idea that she is the next target – until the police questionher for a crime she didn't commit! MartinMs. Martin has once again penned a sweet love story. Her characters areflawed and only too human, but have a genuine desire to be a betterperson, to trust in God. This quiet and unassuming story is layered withlove and pain and messages of trust and forgiveness. An inspiring read.--Reviewer Connie from Once Upon A Romance Nick Thornton couldn't help being impulsive. But he had no misgivingsabout hiring away the feisty new waitress at this favorite diner. Afterall, he could spot a person in need, and Rona Meyers needed a protector.Yet as he got to know her, he was humbled by her caring and no-nonsenseattitude. Maybe he was the one in need---after all those long yearshe'd been struggling to keep his faith. With his sense of familyshattered, Nick couldn't stop wondering if God wanted him to have a newbeginning. And a new chance at love. I'll try to post a new ChapterAWeek blurb here each Monday. Be sure to check back Friday for another tip from Tulip! Heard about any good books lately? I sure have, over on "ChapterAWeek". This is an online service for fans of Christian fiction, with one function: If you sign up, each week you will be sent the first chapter of a new inspirational fiction release or two. That way, you can "try before you buy", not to mention keep an eye on the latest and greatest from your favorite authors. To read a chapter from these exciting new titles, sign up for ChapterAWeek at this link: http://www.mindystarnsclark.com/contact.php or to order the title go to Amazon.com. I'll try to post a new ChapterAWeek blurb here each Monday. Be sure to check back Friday for another tip from Tulip! How do I get grape-flavored medicine spots out of my carpet? Hmmm... If it were me, I would call the toll free number that's probably listed on the medicine bottle and see if they have a suggestion! I'm always amazed at how many questions they're prepared to answer. Have you stopped posting to this blog?